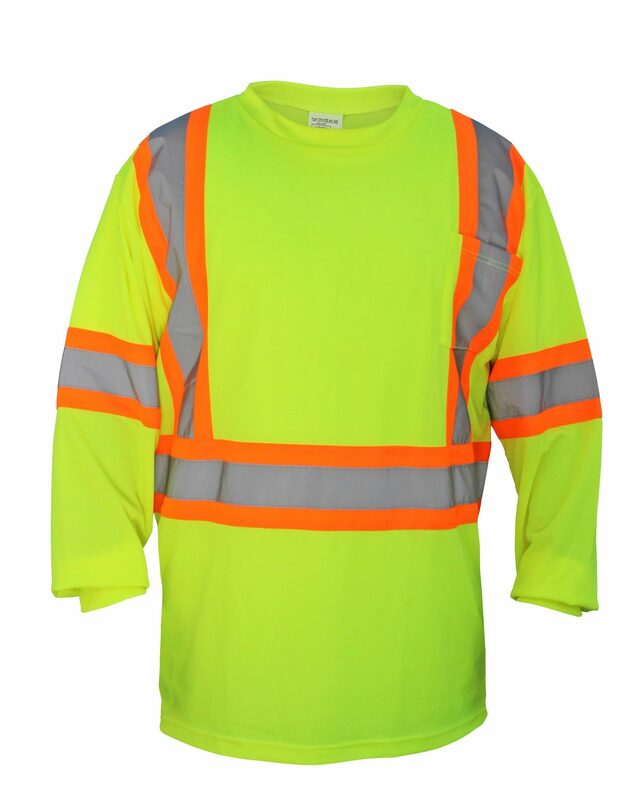 2” silver poly woven substrate reflective tape. 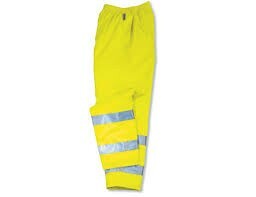 2 horizontal stripes. 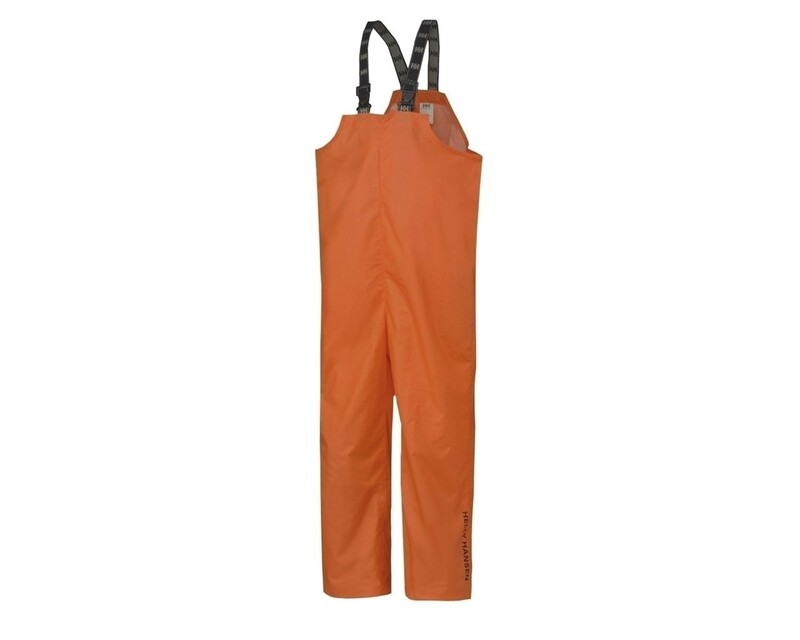 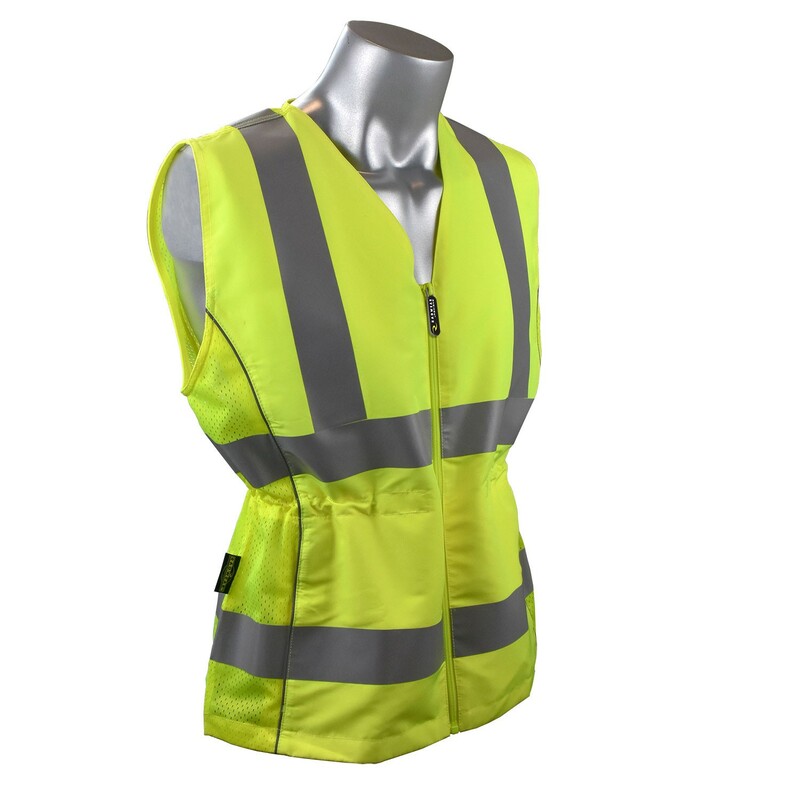 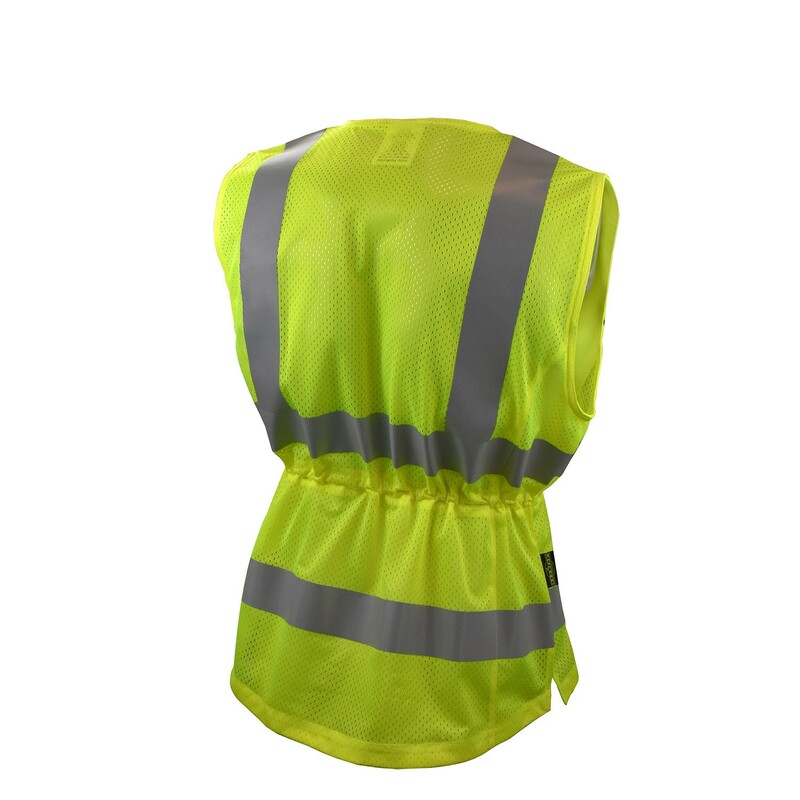 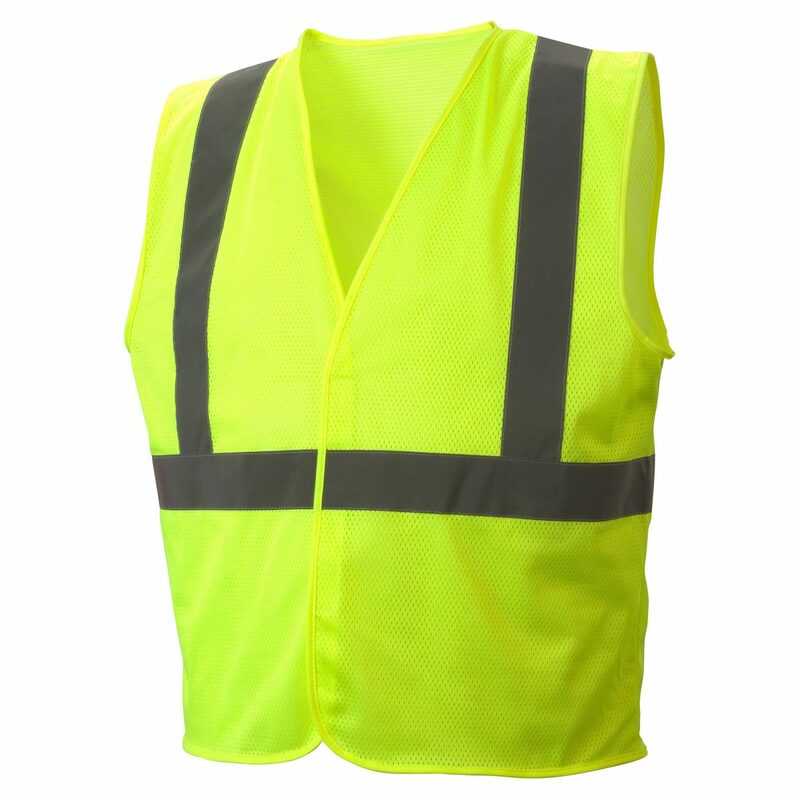 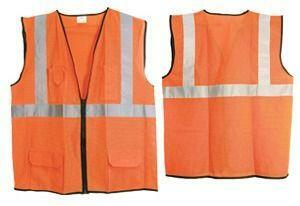 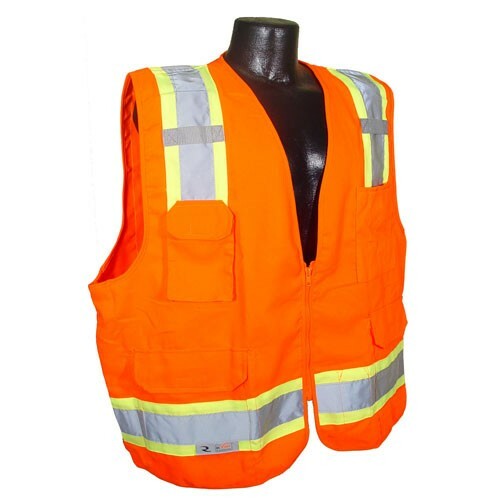 Finally, a Hi-Viz safety vest designed for women complete with adjustable waist. 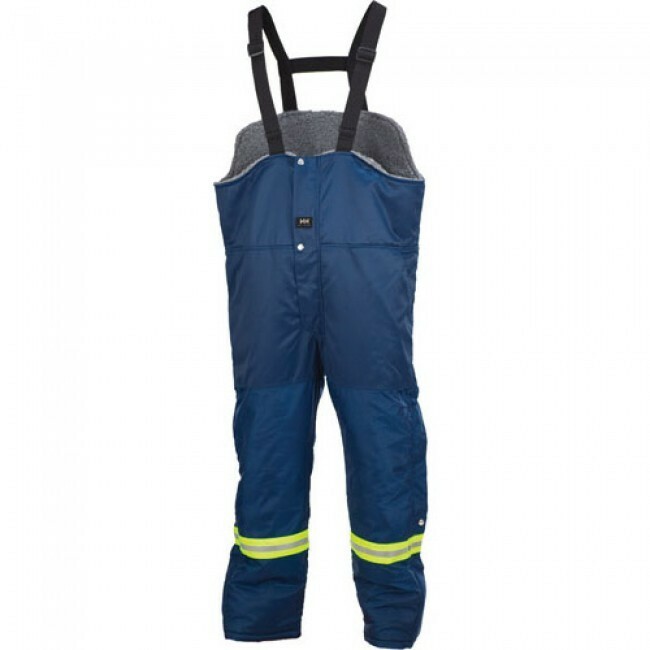 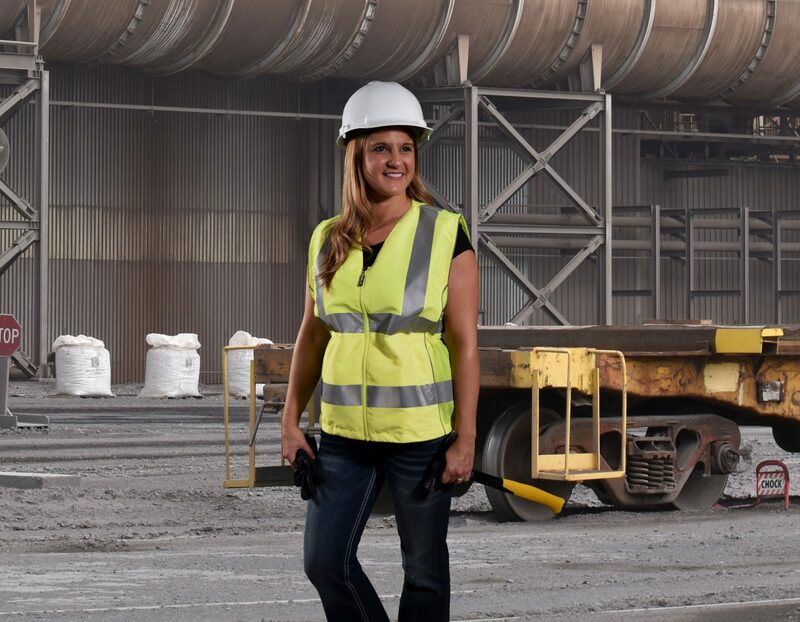 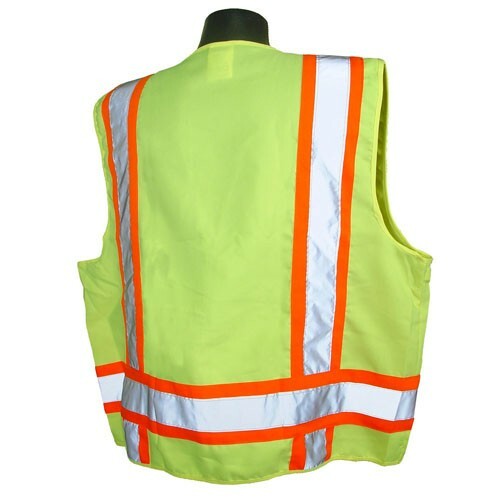 The Radians SVL1 Type R Class 2 Contoured Ladies Safety Vest is an excellent choice for extreme work environments like asphalt paving that greatly reduce the useful life of a vest, or protection for short-term labor. 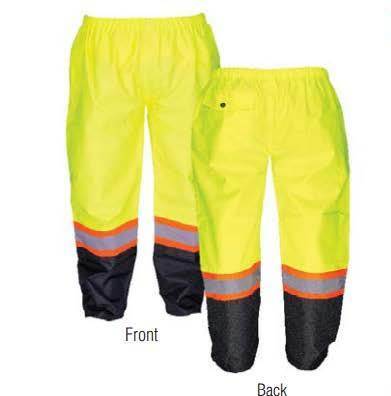 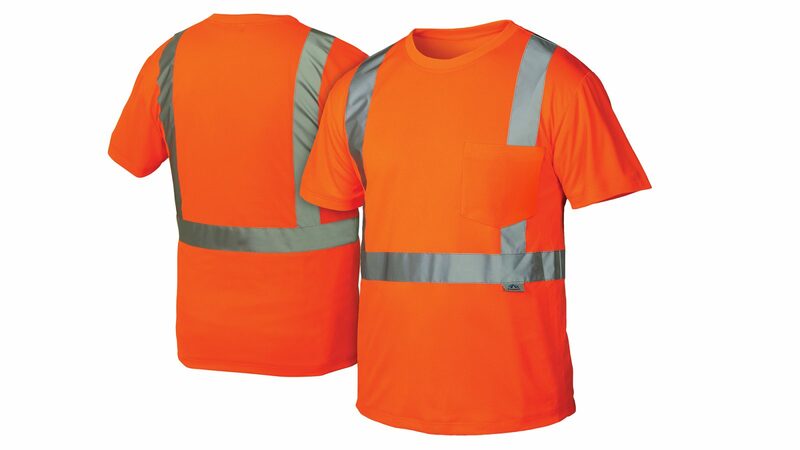 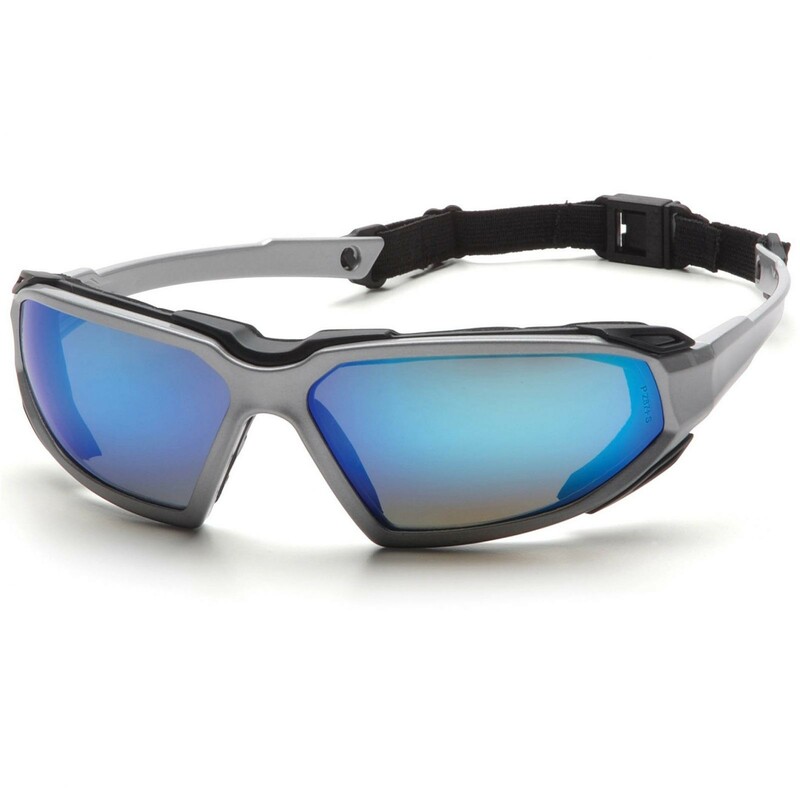 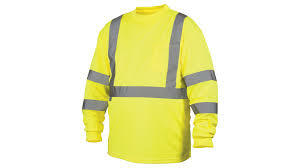 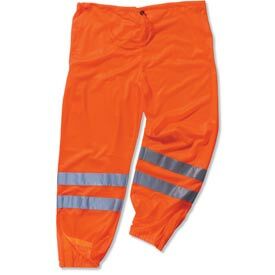 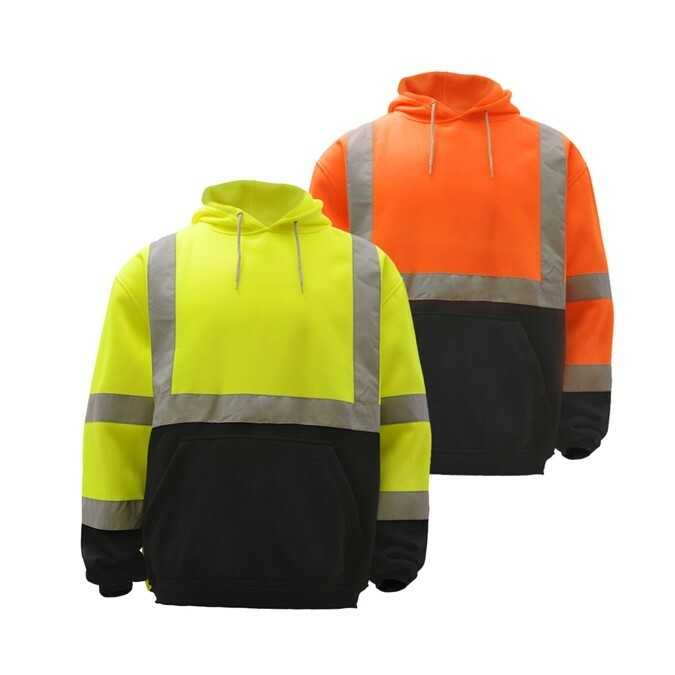 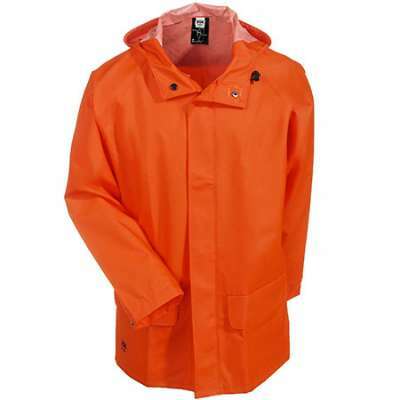 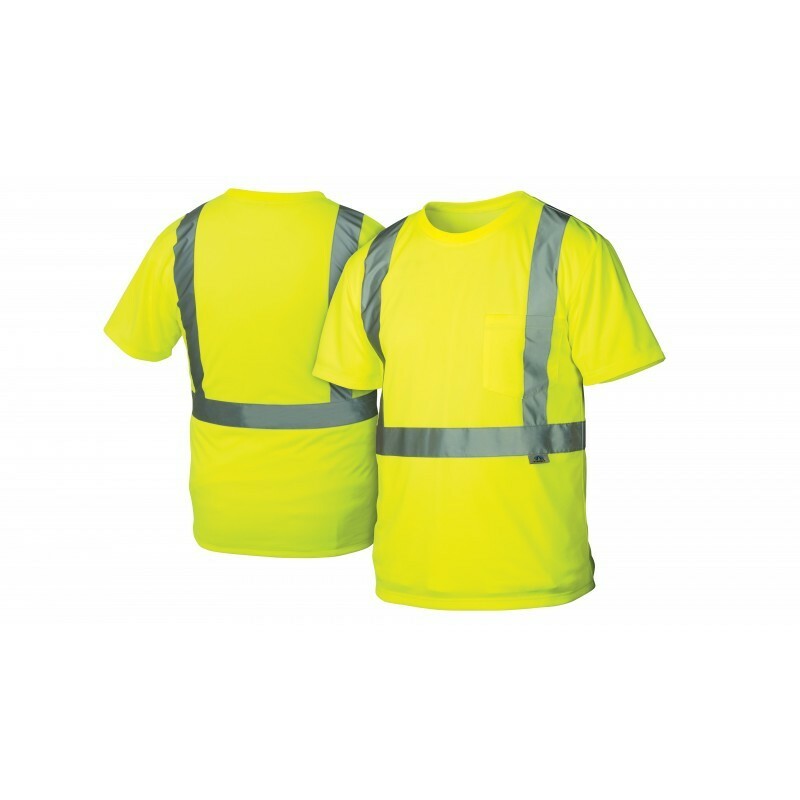 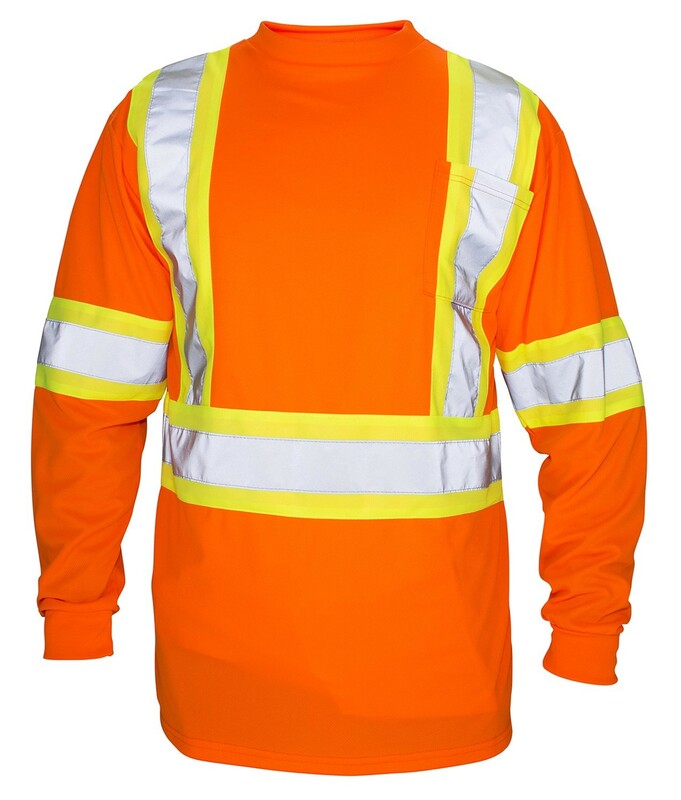 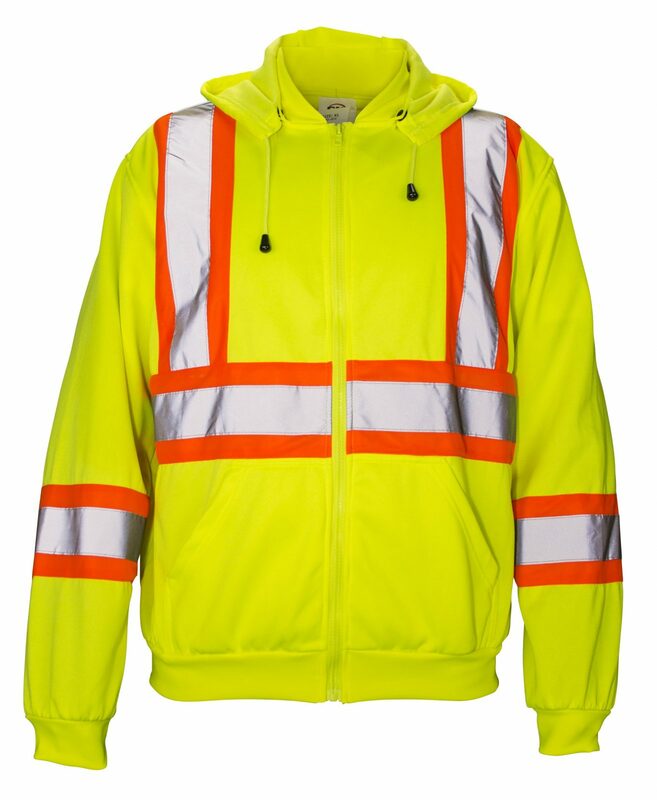 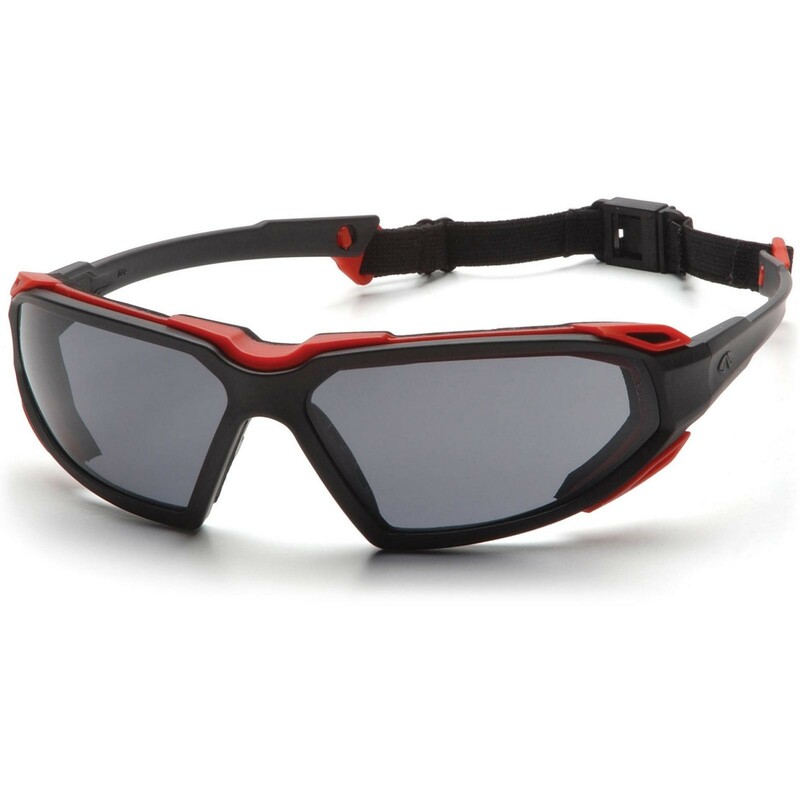 Reflective stripes make workers much more noticeable in low light.